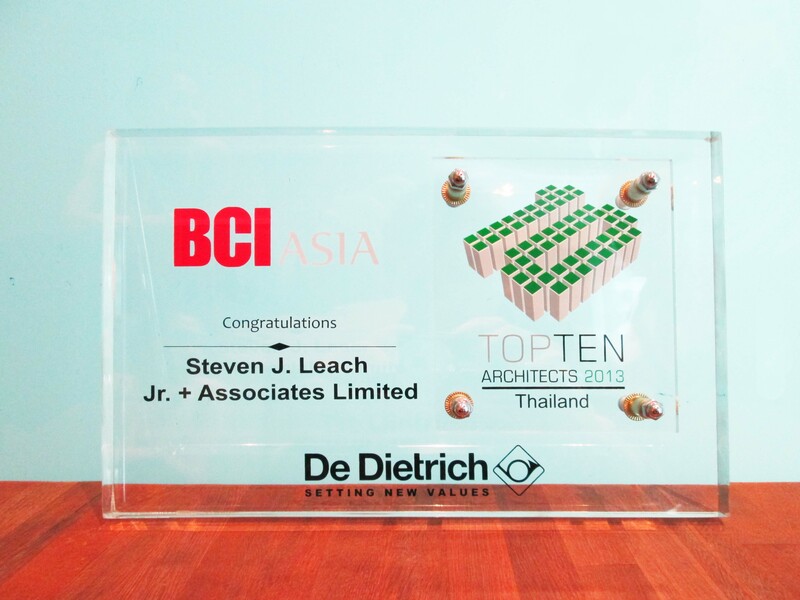 For the second time in five years STEVEN J. LEACH JR., & ASSOCIATES LIMITED have been honored by BCI ASIA and their selection committee with the award of TOP TEN Architects in THAILAND 2013. This year’s focus and criteria was green initiatives and environmental awareness. In coming to their decision the selection committee reviewed over 9,000 projects. AIA Tower, which is a 27 story premium grade A office building on Sathorn Road in the Bangkok CBD and is submitting for LEED® C&S Gold. The project is under construction by Thai Obayashi and due for completion in December 2014. Baan Plai Haad on Wongamat Beach, Pattaya is a high rise residential condominium development by Sansiri PLC and focus’s on green initiatives within the Thai Green build standard. The project is under construction and due for completion and handover in February 2015. SL+A’s team have worked extremely hard to attain this quality and appreciate the industry’s recognition and accolade. It’s a collective effort from everyone, senior associates, senior project architect Khun Phongphat Ueasangkhomset and Khun Chanachai Bamroongphong to the architectural technicians and support staffs. They all deserve acknowledgement for their efforts and contribution. SL+A strive to create buildings that are icons of excellence and environmentally responsible and efficient. 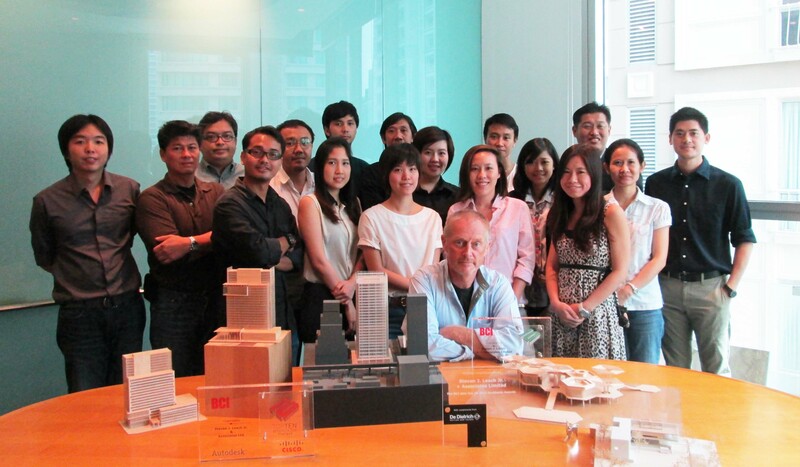 Without clients like AIA and Sansiri PLC who aspire to the same excellence this would not be possible. We look forward to the completion of these buildings and our client further success and realization of these building dreams. Donal T. Coyne. AIA ACIArb.